The usual dose of Glibenclamide for initial therapy is 2.5 to 5 mg daily administered with the breakfast or with the first main meal. Those patients who may be more sensitive to hypoglycemic drugs should be started at 1.25 mg once daily. The usual maintenance dose is in the range of 1.25 to 20 mg daily which may be given as a single dose or divided doses. Dosage increases should be made in increments of not more than 2.5 mg at weekly interval based upon the condition of patient’s blood glucose response. Daily dosage of more than 20 mg is not recommended. 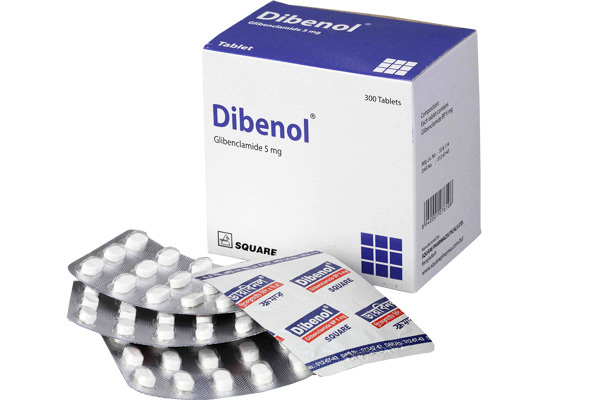 Dibenol® Tablet: Box containing 20 x 15 tablets in blister pack.